And what lies in that path? 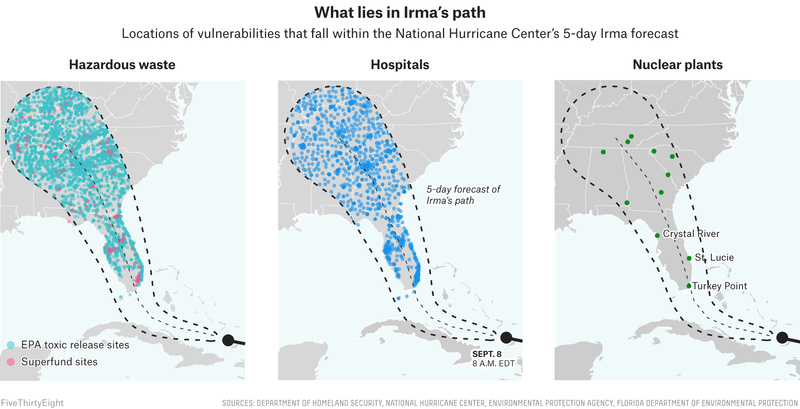 We can’t say for sure, but within the so-called cone of uncertainty for Irma, there are 11 nuclear power plants, hundreds of hospitals and a slew of hazardous waste containment sites that could become sources of environmental contamination. 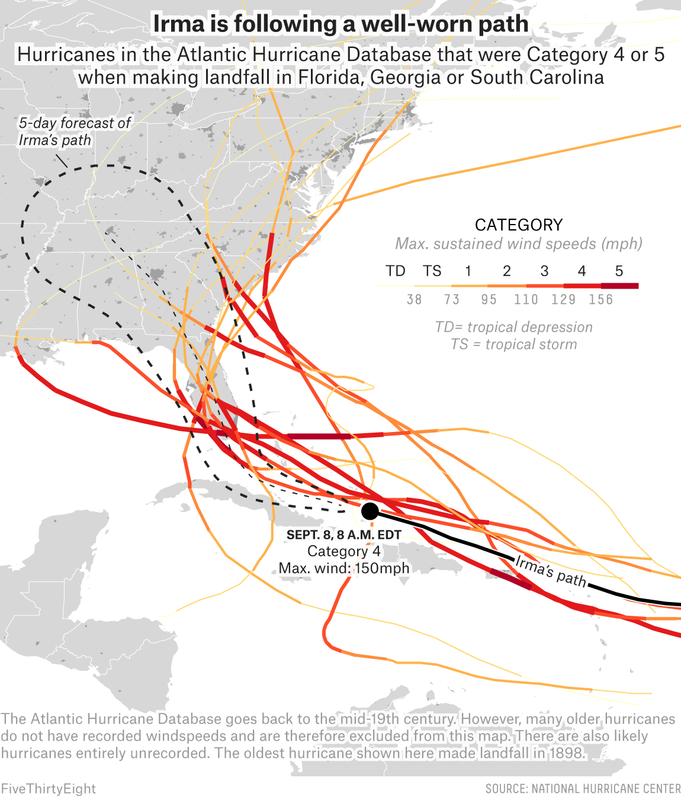 Another thing to look out for: an immense amount of building damage in Florida. According to the insurance company Swiss Re, if a hurricane like 1992’s Category 5 Andrew were to hit south Florida today in exactly the same spot, it would create up to $100 billion in damage upfront, as opposed to the $27 billion ($48 billion in 2017 dollars) in losses it caused at the time. The previous record was 24 hours and was held by Typhoon Haiyan, which killed more than 6,000 people in the Philippines in 2013. Based on the latest prediction at the time of publication. This number comes from the Atlantic Hurricane Database. 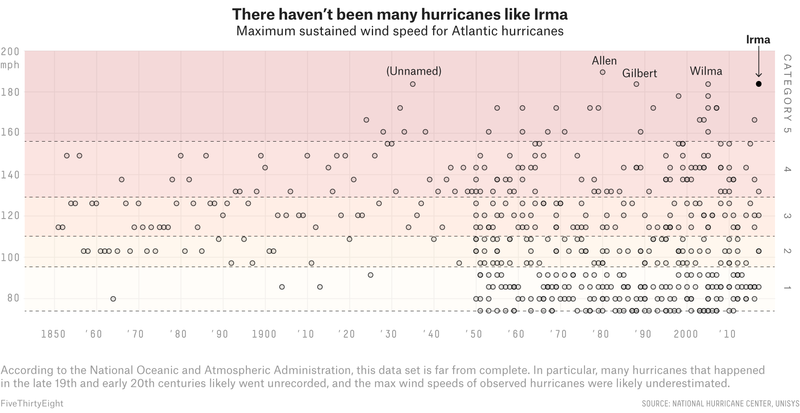 However, this database is likely far from complete, and additional Category 4 or 5 hurricanes that were not recorded may have hit Florida in the 19th and early 20th centuries. Their windspeed estimates might also not be accurate.